Dr. Amy Garza has been welcomed onto the Physical Therapy Board for the American Health Council in recognition of her outstanding contributions. Dr. Garza has now spent over 12 years within the healthcare industry, gaining an exceptional depth of experience within the field. Dr. Garza’s passion for healthcare began early on when she found herself in need of physical therapy following a sports accident. After receiving expert physical care, the professional immediately knew that she was eager to pursue this career path, subsequently directing her further education and studies towards working in the profession. Having graduated in 2006 from the University of St. Augustine, the highly acclaimed physical therapist continued to achieve excellent educational results, gaining her degree as a doctor of physical therapy (DPT), a Manual Therapy Certification and being fully trained in Polestar Pilates. On top of this, she is recognized as a key teacher and instructor in the field, achieving recognition as a preceptor and demonstrating her unrivalled dedication to her profession. In her current capacity, Dr. Garza works in the position of Chief Operating Officer at Pure Physical Therapy, located in McAllen, Texas. The acclaimed organization is recognised for offering the utmost best in patient care, providing reliable and personal services throughout the McAllen area. With over 20 years of combined experience, the local practice goes above and beyond to discover expert solutions that provide a better quality of life for patients. Within this role, Dr. Garza specializes in treating lower back pain, sciatica, vertigo, sports injuries, muscle strain, joint and muscle pain in addition to providing post-surgery rehabilitation, deconditioning and post joint replacement care. Her expertize lies in Outpatient Physical Therapy and Dr. Garza works directly with patients to evaluate and re-evaluate their needs and provide exceptional treatment plans. The dedicated professional also owns and operates Pure Physical Therapy with her husband Frank, who is also a physical therapist. In addition to her impressive professional achievements, Dr. Garza is also dedicated to consistently improving her expertise and is a board member on the JH Cancer Fund, allowing her to stay up to date with the healthcare field. Moreover, the physical therapist supports a number of charities, including the Angels of Love Foundation and the JH Cancer Fund. Dr. Garza attributes her outstanding professional success to her supportive family, with this support allowing her to reach her goals and consistently exceed expectations. Within the next five years, the professional plans to continue growing her practice whilst further progressing her Polestar Pilates Therapy. 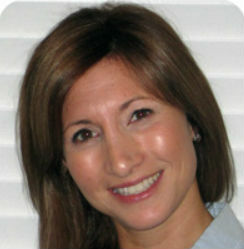 Her consistent aim is to provide exceptional care and services to the patients at Pure Physical Therapy. Outside of her impressive career, Dr. Garza enjoys travelling around the world and enjoying new cultures. She also enjoys going to the beach and spending time with her family. Pure Physical Therapy works hard to be the office their patients can depend on when they need a physical therapist who cares. As a local practice, they go out of our way to provide exceptional customer care to individuals throughout McAllen.